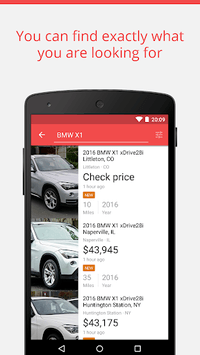 Trovit Cars finds second hand cars on thousands of different websites and shows them to you in one place. That way, you can be sure that you will find your dream car, no matter how hidden it is. Easy, convenient and fast. That’s our promise. 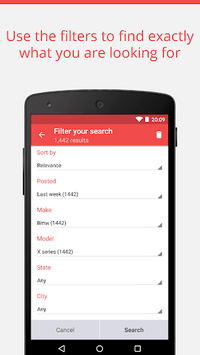 Trovit Cars allows you to filter your search results to find cars for sale that interest you. You can select the city, publication date, manufacturer, model, type, fuel, transmission, price, year, mileage, number of doors and a long list of other criteria. When you close the app, Trovit cars keeps working for you. Just create an alert (or several) and we will send you a notification when there’s a new ad that matches your search criteria. We follow thousands of second hand car websites minute by minute so you don’t have to. You can create as many alerts as you want to, with your ideal price, your favourite brand and model or the perfect combination of lots of factors. If you have any doubts, problems or suggestions, please do write us an email at [email protected] and we will do our best to fix whatever is bothering you. 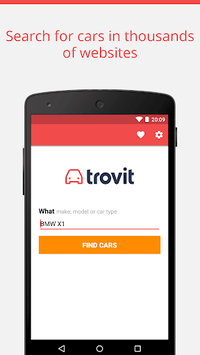 If you enjoy Trovit Cars, please leave us a review on Google Play!